CUSTOM & MADE to ORDER especially for you! A Feathery Leathery 2011 original is back! 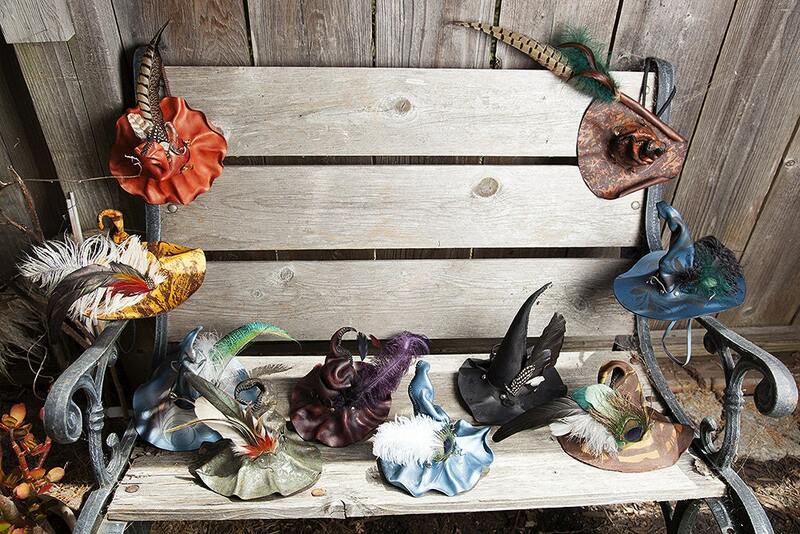 Reintroducing the Lil' Witchy Poo Mini Hat or Fascinator! I know many folks love the mini top hat, but it just doesn't speak to me the way a Lil' Witchy Poo Hat does! 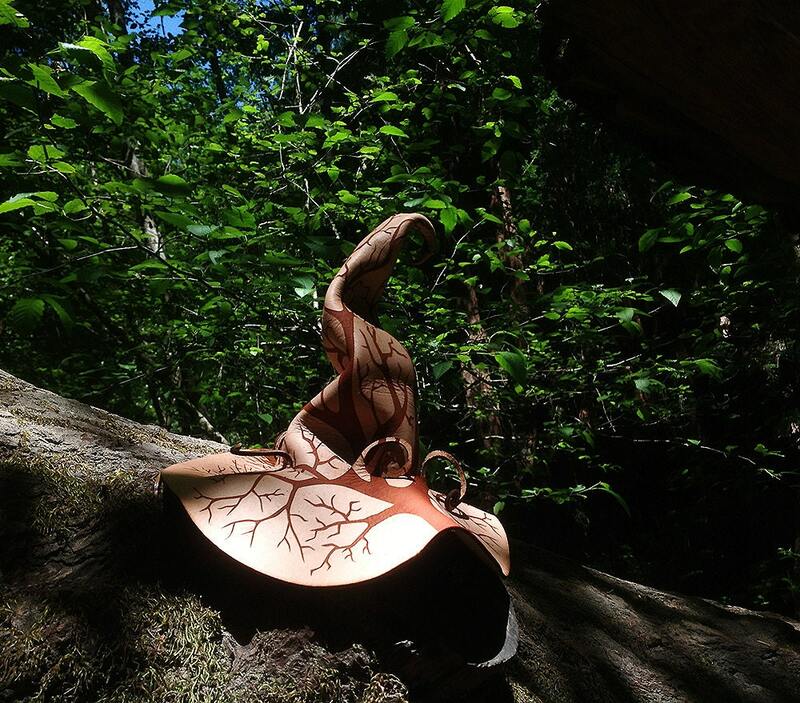 Thus presenting the ridiculously cute, spunky & funky, feathery & leathery Lil' Witch Hat. 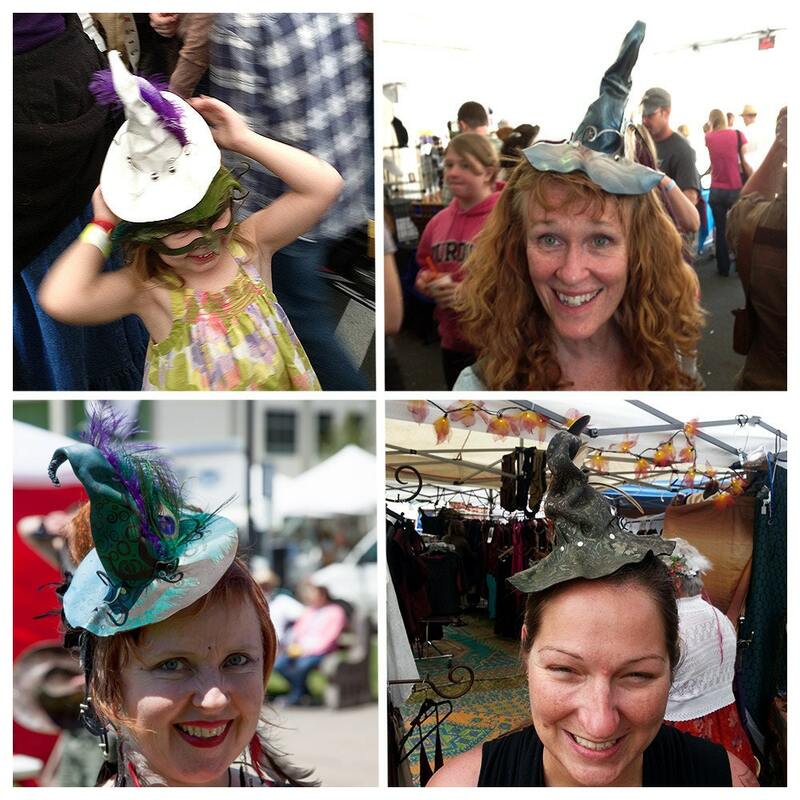 These witch hats are One Size Fits All, easy to wear, lightweight leather & super comfortable. They work with ALL hair types~woot that was an accomplishment! Each hat has a comfortable fabric/elastic headband sewn into it, making it a breeze to wear and adjustable so you can situate the hat wherever you would like upon your head. I personally like to wear mine off to one side and pulled forward a bit over my forehead. •What color/s do you want? I airbrush the hats and can do multi-colored, altho I prefer no more than 3 colors if you are choosing more than 1 color. •Whether you would like a Plain leather hat (not engraved with art) or an Art Engraved/Patterned hat? If you choose the Art Engraved/Patterned hat please message us or a leave us a note at checkout letting us know what theme you are envisioning, examples are floral/nature patterns, tree branches/roots, sacred geometry patterns, celtic patterns or surprise me some of your awesome art! We are happy to create an art pattern for you or show you samples of what we have available. We have a very large library of art at this point in time. •With feathers or without? With handmade silk flower or without? In terms of colors for both feathers and silk flower I prefer to match these based on the color/s of your hat. Please note the handmade silk flower is made by my very talented friend Noelle of Firebird Faerie Couture (check out her website at www.firebirdfae.com). No matter what you select magic will happen. 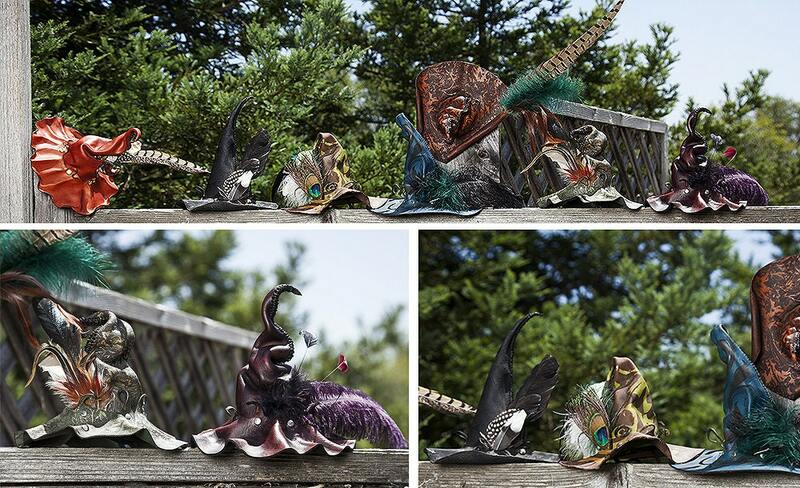 All our lovely Lil' Witch Poo Hats are hand sewn, wet sculpted, airbrushed and embellished by me in our home art studio. Magical pieces of art made for you too wear! LOOKING FOR A FULL SIZE WITCH HAT INSTEAD? 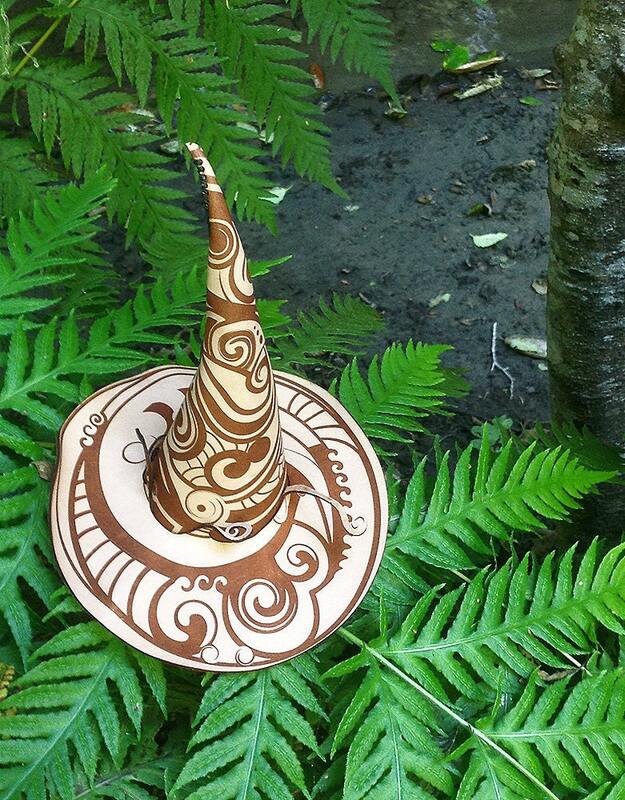 Check out our Custom listing for the Mysterium full size Witch or Wizard hat. Free shipping on all US orders, as always. I love, love, love the hat that was custom made for me. It was exactly as I had pictured it in my mind and more. The color and quality are fantastic and this is something so unique and I can't wait to wear it! So happy with my lil witch hat! It was just what I envisioned made with care and magic! Happy Halloween! Absolutely love my Little Witch hat, so adorable. Received item quickly, from order to delivery. Highly recommend this artist and seller. One of a kind beautiful quality. Fun way to celebrate Halloween too!